Frosted Pumpkin Gourmet has become one of Atlanta's most recognized specialty cake companies. We can be found on many preferred vendor lists in the Atlanta Area. 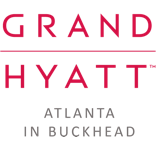 In addition, our reputation for professionalism, craftsmanship, and dependability has earned us a number of partnerships amongst Atlanta's finest venues such as the ones below.